As a local tree service, we are able to offer any type of help you may need for your trees or landscaping. Whether you’re looking for tree removal, tree trimming, planting, or pruning, we’re the company for the job! We even offer maintenance for landscaping and lawns, such as mowing, mulching and weeding. Call to get a free estimate for your property today! Need a professional tree service? If you are concerned about how to properly care for your trees, then trusting it to our tree service is the way to go. We can help take care of all types of properties from residential to commercial, and municipal, too. 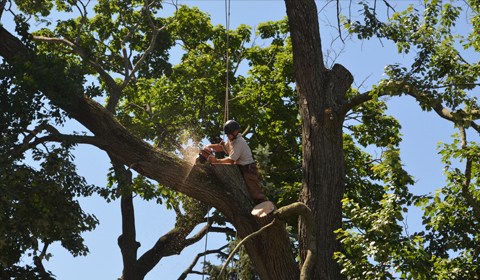 Best of all, as a local tree company, we offer fast and reliable services at reasonable prices. Call now for your free estimate! 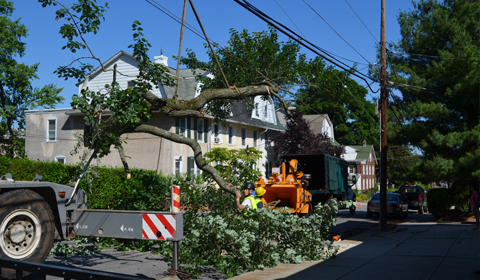 Emergency tree services -- if you ever have a situation where a tree service is needed quickly, call us. 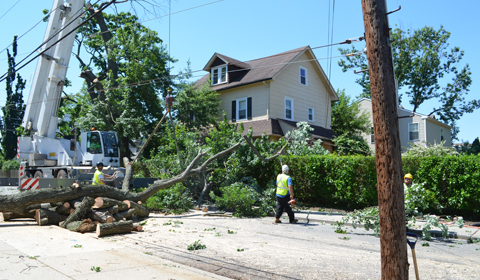 We provide emergency services, so if a tree falls over in the middle of the night, or something unusual happens, give us a call. All needed equipment is at the ready, such as dump trucks, chippers, stump grinders, and backhoes. If a crane is needed, we have one on call, and we will be there fast to solve your emergency. 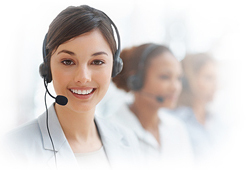 Our phones are answered around the clock by our very own staff, so don’t hesitate to reach out to us! Residential tree services -- any home can benefit from having beautiful and full, healthy trees. This not only beautifies the home, but also increases its value. 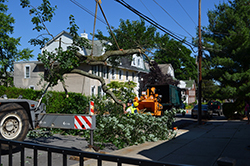 While we do tree removal as needed, additional services like tree trimming might be more appropriate in your situation. For those with bare yards, perhaps our tree planting services might be an excellent option? Or the planting and maintenance of garden hedges can look great, too. If you’re looking for tree services for your home, give us a call. 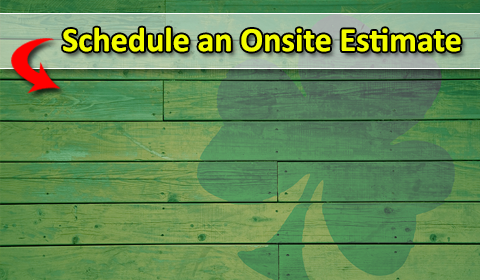 We’ll work out the customized plans for your property and give you a great price quote on it! Commercial tree services -- if you are interested in giving your business a brand new look, consider adding or maintaining trees. We can make this happen for you, through tree planting, tree trimming, tree removal, and additional services as needed. We look forward to discussing any needs and wishes you might have for your commercial property or business. From lawn maintenance, to taking care of shrubs, and even land clearing, we are able to provide the care your yard needs to stay healthy and beautiful all year long. Give us a call to get a free estimate on the exact services you need, and we’ll show you how we can help with pruning, mowing, mulching and more. 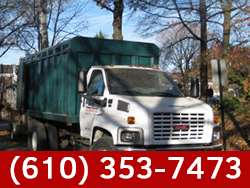 No matter what may have you searching for a tree service or tree removal contractor that you can trust, give us a call. 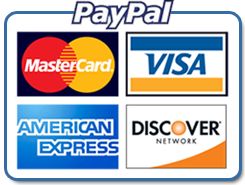 We have the equipment, the staff, and the experience to offer the quality services you are looking for, at the prices you’d hope for. 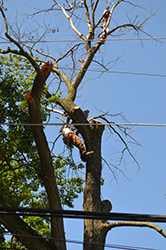 Before hiring any tree service, or tree removal contractor, always consider their credentials. We have been in business since 1980 and our reputation speaks volumes. We are also fully licensed and insured. The owner of our tree service supervises every single job personally, and ensures reliable and thorough service is provided to each of our clients. In fact, we don't stop until you are completely satisfied with the job, and then some! With more than 30 years in business, we are the leading tree service in the area and look forward to earning your business. Part of our unbeatable guarantee is that your job will be completed safely and on budget. Call us today for a free estimate! Looking for a specific type of tree service? Give us a call if you need tree service in Delaware County, Newtown Square, Wayne, Wynnewood, Media, Springfield and all surrounding areas. Free estimates.